This IQ Test Brain Teaser is for school going Teens. 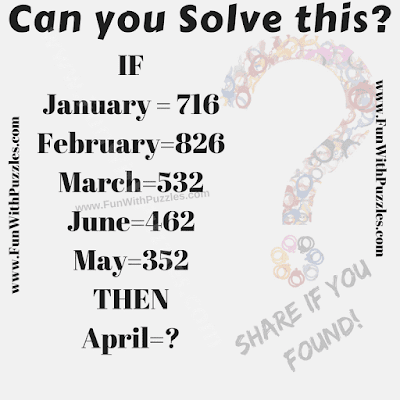 In this Brain Teaser there are equations which contains month name and number. There is Logical or Mathematical relationship between both sides of the equation. Can you find this relationship and solve this IQ Test Brain Teaser? Can you solve this IQ Test Brain Teaser? 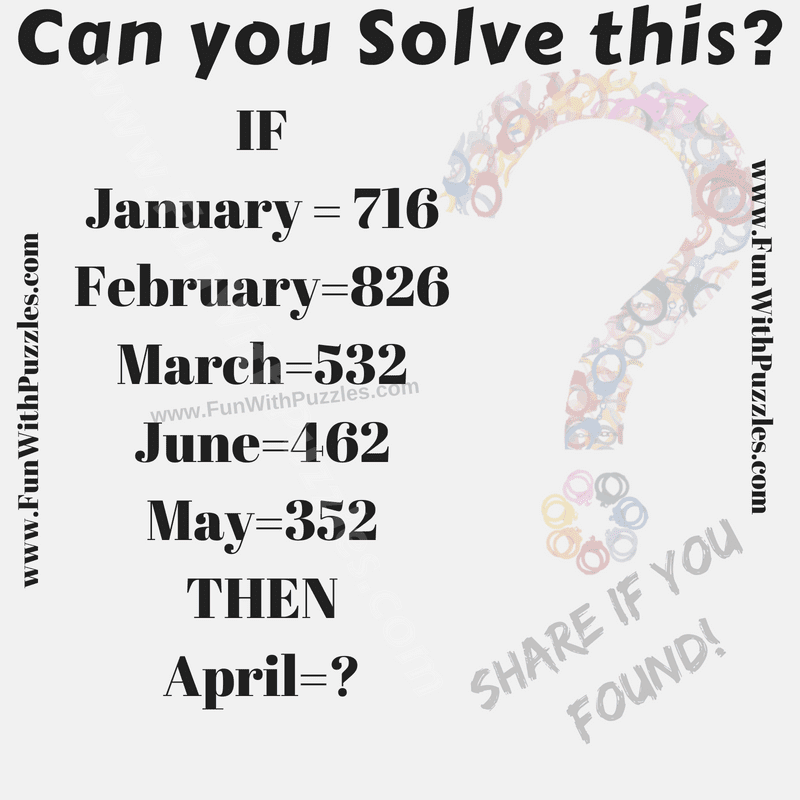 Answer of this "IQ Test Brain Teaser", can be viewed by clicking on button. Please do give your best try before looking at the answer. Third Digit is the absolute difference between first two digits. Unfortunately this is not the correct answer to this IQ Test Brain Teaser.